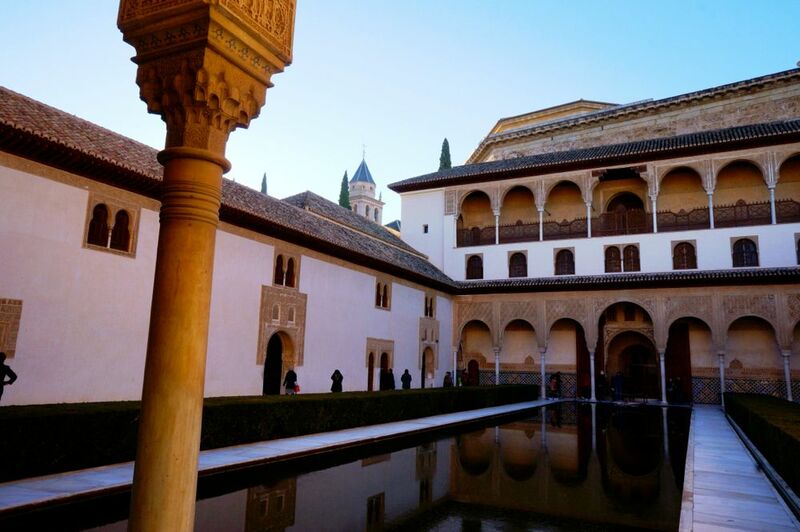 ​Alhambra, the "emerald palace” of the Moorish Sultans of Granada must be on the bucket list when you visit Spain. Ranking easily with the Taj Mahal and Angkor Wat, The Alhambra brings together a level of beauty and accumulated history that will wow even the most jaded tourist. The Moors of the Berber tribe came to Spain around 711 from the Roman province of Mauritania in northern Africa, Algeria and Morocco today. For 800 years, the Moors ponced about Spain becoming more and more liberal while their Christian contemporaries became increasingly savage. Inevitably, it all had to end in blood and the nasty expulsion as the assorted leaders of the Church concluded that a good fire with your enemies in it solved a great many problems. 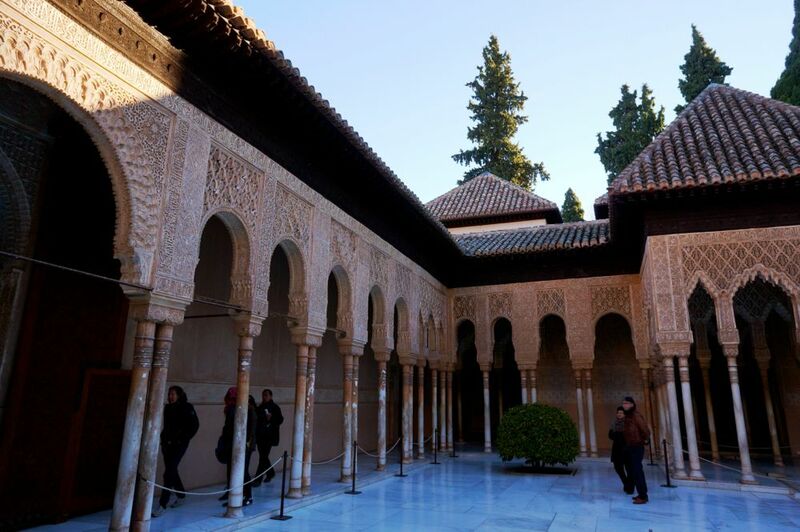 However, prior to the expulsion in the 15th century, the Moors have created a culture and certainly an architecture which remains one of the most stunning achievements of human kind and the Alhambra is its living museum. Constructed in 889 A.D. as a small fortress atop the ruins of the Roman fortification, the Alhambra was later on added and made more elaborate by the succeeding Moorish rulers. Each addition continued the theme of "paradise on earth" with columned arcades, reflecting pools and fountains with running water. 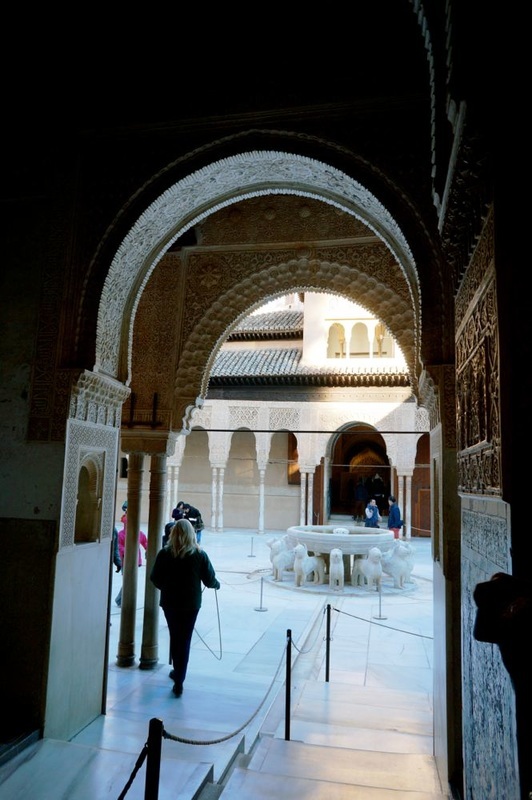 The quadrangular shape was also followed all rooms open to an open courtyard typical of Moorish architecture. 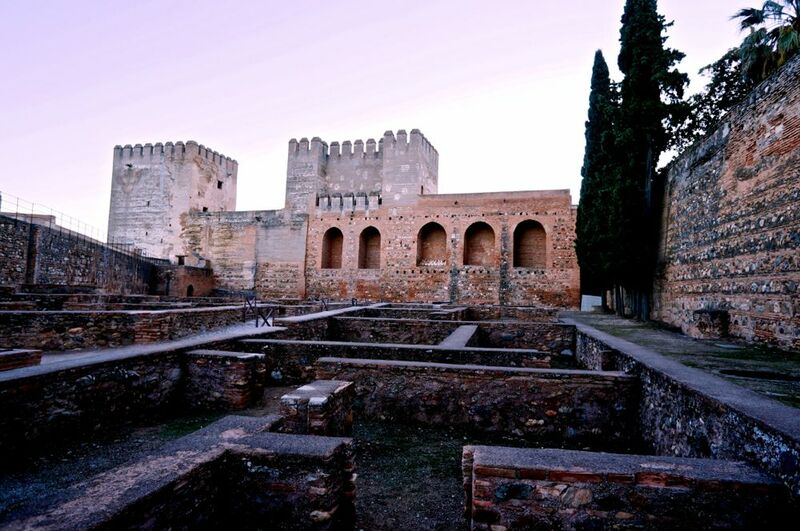 After the Reconquista, the Alhambra became the royal court of the christian rulers, Ferdinand and Isabela. For a while, the Alhambra was left to decay and became home to squatters until the defeat of Napoleon when intellectuals and romantic travellers gave it attention and life through songs, poetry, and stories. 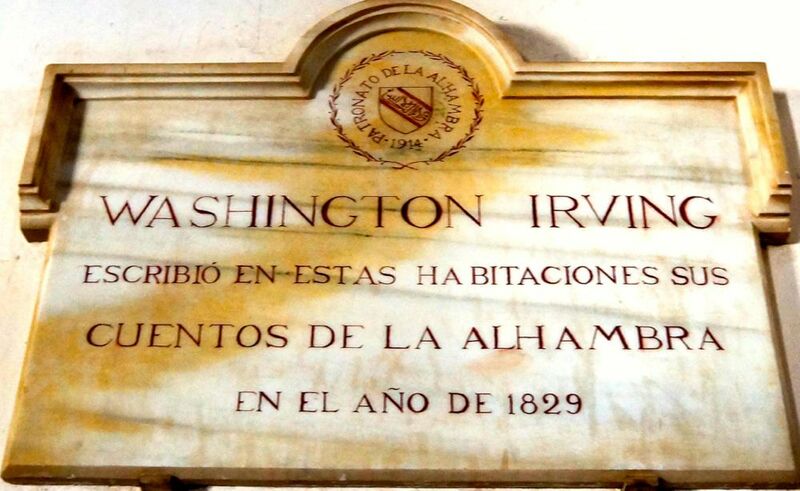 If you have a chance, read Washington Irving’s book, Tales of the Alhambra. ​Written by that great 19th century American story teller, this book will give you a marvellous context that will almost offset the misery of the line up to get into the Castle today. ​Don't miss the plaque recognizing Washington Irving on one of the Palace walls. At its height, Islamic Granada, with The Alhambra at its heart, was the seat of the most ethnically tolerant regime that Europe was to see for another 600 years. ​It is good to remember what both Islam and Christianity were 600 years ago when giving opinions on today's events. Entrance to The Alhambra is through a horseshoe gateway (a Moorish style), the Puerta de la Justicia (Gate of Judgment) and enter a hall used by the Moors as an informal court of justice. 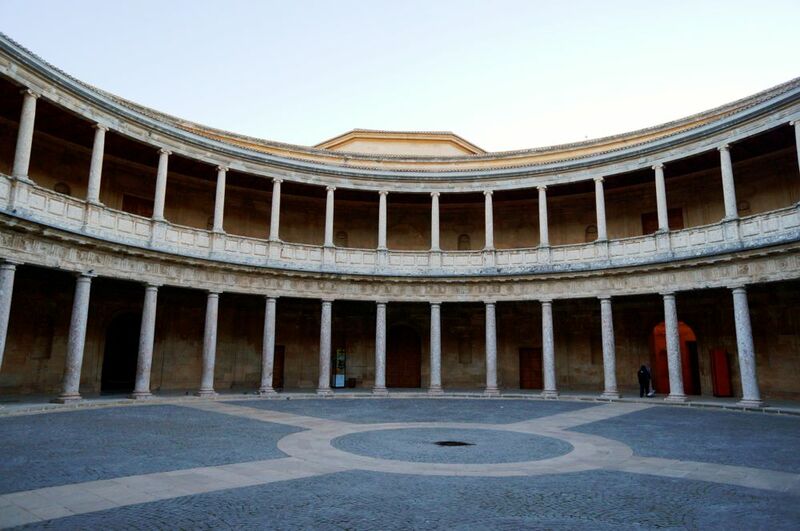 From the entrance, you are led to, the Plaza de los Ajibes (place of Cisterns), an open space with the Torre del Vino (1345) on your left and the Rennaisance Palace of Charles V on your right. This huge structure doesn't seem to go with the rest of the Alhambra but take a look as it houses two museums, the Fine Arts and the Alhambra Museums with very well curated exhibitions and hosts some musical and dance performances. You then enter the Moorish Palace which is divided into 3 sections: The Mexuar, The Serallo and The Harem. ​This section which includes the Oratory and the Golden Room is where the administration of the Palace took place and where business was conducted. ​​This beautiful quadrangle includes rooms and courtyards where the Sultans held court and thus, had a need to show their heritage, culture, wealth and sense of taste. It includes the Salon de los Embajadores (Hall of the Ambassadors), with the throne of the sultan opposite of the entrance. ​Ambassadors had the long walk from the entrance to the throne with adequate time to develop a sense of deep humility. 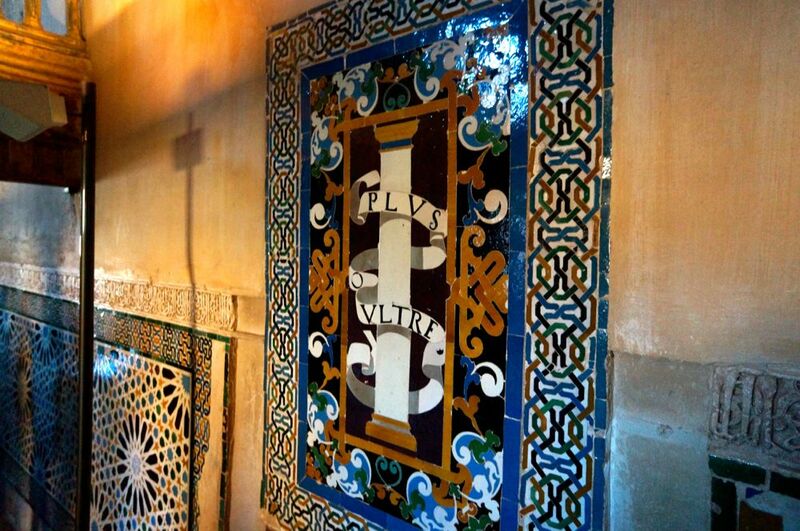 The tiles used in this section are the most complex and exquisite in the Alhambra. The domed ceiling is lined with cedar and the central pool is surrounded by myrtle bushes leading to the name Patio de los Arrayanes (Court of the Myrtles). Imagine the impact of this pool in the heat of summer, bringing the temperature down to simply the torrid levels. Given the scarcity of water the pool was also a symbol of power and a reflection of the desert traditions of the Sultans. It is truly magnificent. ​This place was reserved for the Sultan, his wives and concubines and children. At the centre of the courtyard is a fountain supported by 12 lions said to represent the 12 signs of the Zodiac. A different lion would blow water from its mouth every hour by means of an ingenious system which puzzled most visitors at that time and earned praise in Ibn Zamrak's poem written at the edge of the fountain. To the south is the Hall of the Abencerrajes with its amazing ceiling and opposite this is the Sala de las Dos Hermanas (Hall of the Two Sisters), a great example of the Moorish honeycomb style. You can spend another day just visiting the expansive gardens in the Palace and the Generalife. 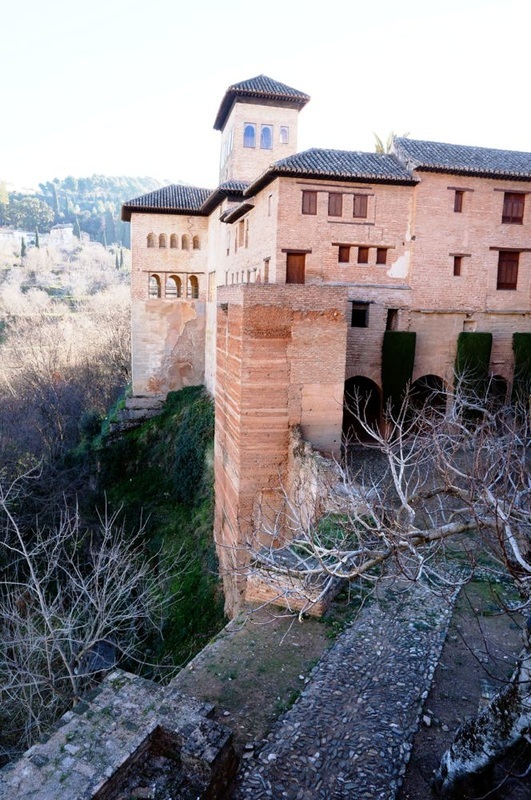 ​Book your tickets to the Alhambra online, days before your trip. There are only a few tickets available each day and the entrance to the Palace are limited. Make sure you take a look at the time you are expected in the Palace. It is printed on your entrance ticket and be there, at least 30 minutes before the time. You can expect to line up for over 30 minutes to get in the Palace. As our online booking did not get through, we went at dawn but even then, there was already a line-up. We were there in January so the crowd would even be worst in the summer. The Alhambra and its gardens are huge so expect a lot of walking. Make sure you have comfortable walking shoes, a hat, a long sleeved shirt and a water bottle. Food inside is expensive so bring a sandwich as well. There are13 towers affording you beautiful views of Granada so take at least 2 or 3 days to visit. Granada sets standards of religious and racial tolerance which we are still trying to achieve today. 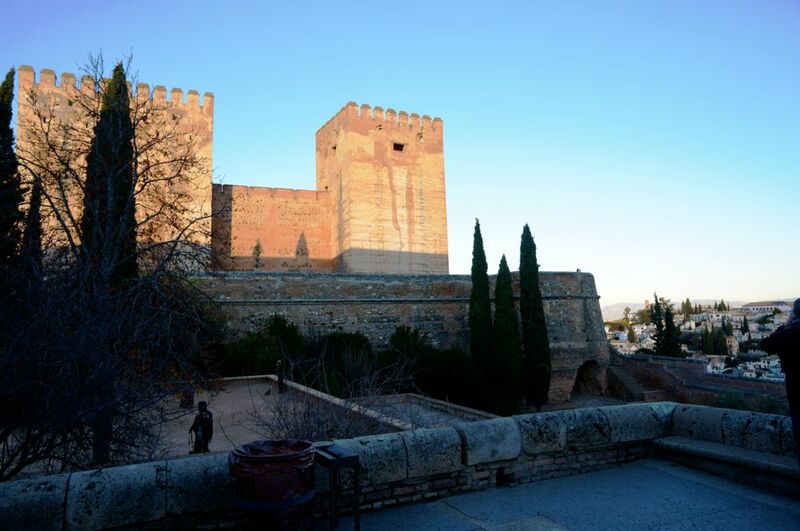 The living memories of this great city are crowned by the Alhambra and if you can slow down your rabid tourist space for just a little while, your visit will be an experience you'll never forget. 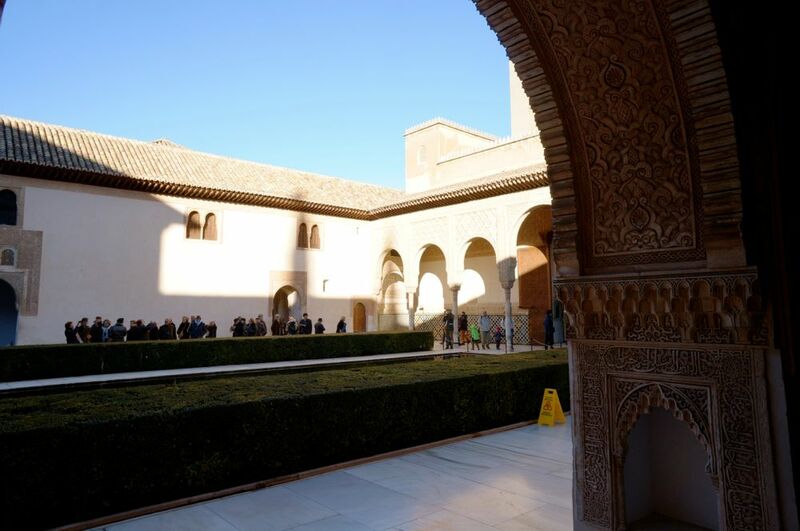 Have you visited The Alhambra? What of its features did you like very much? We'll be delighted to hear from you in the Comments.